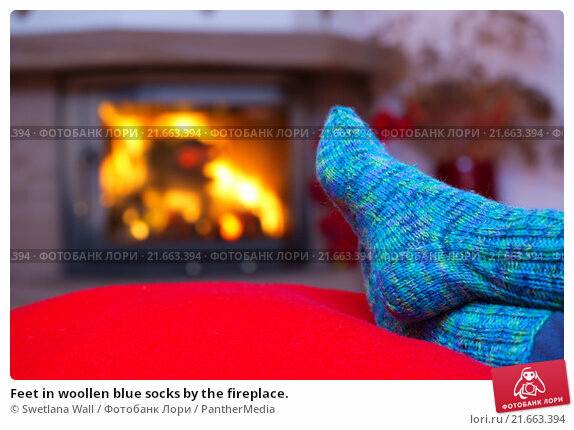 Feet in woollen blue socks by the fireplace. Relaxing at the fireplace on winter eveningWoman relaxes by warm fire and warming up her feet in woollen socks. Close up on feet. Winter and Christmas holidays concept.